Before I attempt to answer that question, we need to consider the second display medium: print. This encompasses everything from my fine art Ultraprints and contact prints to billboards; they sit everywhere along the effective information density spectrum from 5PPI to 720PPI+. Each subset of the medium has digital analogs: if 4″ drugstore prints are average smartphones, regular prints are normal computer displays, then Ultraprints are 4K on a smartphone (and actually look quite similar in terms of information density); billboards are giant electronic signboards. Once again, we can perform the same experiment as with the phone and the 5K iMac: view so that two images occupy the same angle of view, and the amount of information contained can be wildly different. A print in an average quality photo book has nowhere near the same amount of information as an Ultraprint at the same size – 144PPI or less with four colours offset and a relatively wide pixel mask compared to 720PPI with eleven colors and sub-2 picoliter droplet size with continuous dithering is clearly going to look different. Yet ultimately they may well represent the same image. 1. The more deliberate the intent and presentation, the higher the information density must be. Information density takes two forms: spatial frequency and resolution, and tonality/color. The former is what gives you the ability to resolve hair in a monochrome image; subtle variations in the latter are what creates the impression of transparency in an image. Shifting tonality or color in a plausible but unusual way creates emotion by evoking experience. When you have amounts of both that exceed the limits of our eye/brain combination to process, then the result is indistinguishable from reality. 2. The limit is human vision: there is no point in presenting more information than we can proceess. Up to this point, monitors and prints have been clearly lacking simply because we can easily perceive their constituent subelements with little effort: go close to a monitor and the illusion of continuity breaks down into a regular rectangular pixel mask; go close to most prints and see dots. Apple was the first company to actively market a challenge of these limits with its ‘retina’ displays; the premise here was that a 326PPI display with a tight pixel mask (the dark separation grid between adjacent pixels) at typical viewing distances for a phone would exceed the limits of human vision to produce an effectively continuous image. Yes and no; look close and hard and the elements are still there. The problem is that firstly our eyes do not render in a regular, linear way like cameras. We actually resolve closer to 1000PPI at minimum focusing distance for a person with perfect eyesight; ability to identify these and distinguish individual elements is closer to about 600-700PPI in reality (each element needs another contrasting element next to it to separate it from adjacent ones). To produce a truly seamless/continuous viewing experience, you need to either exceed this barrier by a reasonable margin with a regular grid display, or use one that isn’t regular. For a very long time, capture technology has exceed display technology; until very recently, by a large margin. We had 20+MP cameras and only 2MP displays; that requires throwing or downsampling 90% of the information captured. Of course the Bayer interpolation process means that it isn’t quite that bad, and I suppose a truer approximation is probably something like 13-15 MP of information captured, but there’s still a clear disconnect. Now it’s 20-50MP for the majority of capture, and 4MP-14MP for output: that’s a much better ratio. This downsampling for output display has had two consequences: firstly, oversampling produces a cleaner image; secondly, we don’t quite get all of the information. On top of that, if you look too closely, there are still gaps: each screen pixel’s RGB elements won’t fully light unless that area of the image is white; dark colors appear somewhat murky because tones are not truly continuous – there’s a perceptual gap created by the pixels that are dimly lit. Clearly, there’s still benefit to seeing it presented in a different, and hopefully more complete way: print. Printing does not display information with a regular array of RGB elements; instead, each physical location, luminance and color information bit (a ‘pixel’) is translated by the printer’s software and hardware into a series of ink dots; many ink dots are used to represent one pixel. The more inks the printer has, the wider gamut of colours it can represent – but the tradeoff is that it has to lay more ink to represent some of these colours, resulting in spread (dot gain). Not only is spread of an individual ink-dense dot a concern, but the accuracy in overlaying these ink dots is important, too: you may land up with a lot more spread than you think, simply because the printer is not laying ink precisely*. *There are any number of causes for this: imprecise positioning, clogged heads spraying ink at an angle, voltage spikes affecting the piezomechanics that activate ink spraying, old or partially dried ink, changes in humidity and temperature, paper bleed characteristics or fiber types – remember, we are talking about very, very small tolerances here. 720PPI in an Ultraprint means 1/720″ or 35 micrometers between adjacent pixels, with 11 ink colours overlaid on that spot, and droplet sizes of under two picoliters – that’s 0.0000000000002 litres. Fluids don’t even behave as you’d expect at those scales. The upshot of all of this is basically an irregular and hopefully somewhat continuous matrix of ink dots where information from one pixel location seamlessly blends into the next one as a consequence of the dithering/ printing process. Information is now perceptually continuous; there are no pixel mask boundaries or hard defined elements as with a monitor. And so far, it’s still possible to represent far more information in a print – giclee Ultraprint or optical contact print – than digitally. This represents reality far more accurately: the world is continuous, not made up of infinitesimally small blocks of Lego. But it may well be only a matter of time before displays catch up. There have been prototype monitors that display 700+ PPI already shown, and smaller ones now available (and that is probably the most widely available representation of an Ultraprint I can suggest – look at a critically sharp image that has been perfectly sized and processed/sharpened on a 4k phone screen, and imagine that in a print). Imagine one of these at say 30″ sizes. The bottleneck now is not production of the output hardware: it’s the signal to drive it. We’re looking at the 100MP range, and a file of this size is enormous; the video processing capabilities aren’t quite there yet, not to mention capture. But at the rate computing power has been advancing, it’s probably not even that far off. And visually, the diminishing returns get ever steeper. At 4″ viewing distance, I can clearly make out the pixel grid in my 27″ Thunderbolt display (109PPI); an Ultraprint still looks continuous. At my usual 2ft working distance from the monitor, I can make out some elements are resolution limited, like text, but images still look acceptable. A 5K iMac adds a layer of transparency, but brings other challenges, as we’ll soon see. We are now in a transition period for output: even though output information density is increasing to more closely match input/ capture density, adoption isn’t going to happen overnight. I see this most acutely in my day job: I’ve got to make content that’s going to hold up for clients and readers on high resolution retina+ displays, and at the same time still ‘works’ visually for those that aren’t. For the moment, I can’t retouch on retina because I simply cannot see the dots that my clients can with regular monitors; postprocessing is also challenging because it’s difficult to determine how much is enough sharpening. Too much, and you land up with coarse haloes and a gritty micro texture on regular devices. Too little, and everything looks soft – even though the increased information density on retina devices looks great. It means retouching on non-retina, and proofing on an iPad just to check that everything looks fine at higher densities. Here’s where I gaze into the crystal ball: when we had fewer pixels, they all had to count. When we reach the point that we have more than we can see, they no longer have to be perfect, just plausible. More resolution brings additional possibilities: full translation ideas that require transparency; the enough plausibility to force your audience to suspend disbelief for scenes that cannot be real or appear surreal; even larger sizes. Images that don’t currently ‘work’ at small web sizes because of insufficient information density (e.g. subtle texture in waves, or water, or leaves) will do. Until this point, the medium will have a huge influence on the impact and translation of an image: we have to shoot with the end output in mind, or risk a weak image. Unless a specific assignment requires otherwise, I create images that I know will work as prints; most will work at web sizes, but not as well. I think we will be eventually liberated from this. At that point resolution probably won’t matter other than for scaling of physical size, and even then, to a much lesser degree because of viewing distances. Years ago I did a lot of Cibachrome. For normal prints transparencies are used in the enlarger instead of negatives. I’m almost certain that you are correct that there was also a Cibachrome transparency as you described. I still have several printed Cibachromes and sometimes look at them as a reminder of how far we have to go with digital printing. In the past I have entered Cibachromes in photo competitions where most all the other prints entered are from inkjets. It caused a lot of commotion with people assuming that they are inkjet prints and wanting to know what paper and printer was used. Then, there were those that implied that I was cheating. Also, I don’t remember Cibachromes being as sensitive to different lighting conditions. There was both a matte and glossy paper, the glossy being far the better paper. What would help me the most is that Internet browsers develop a better color space, like ProPhoto RGB, at least as an option for those with appropriate browser. The truth is, at least in my world, that most images are now viewed online. Most monitors fall short of Adobe, and none show ProPhoto. Safari (and other browsers) are color profile aware though. As my thinking, provoked by this once again stimulating article, progresses, I’m now pondering the following line of thought, of course always heavily affected by the way Í see and hear the world around me (and myself in it 😉 ). 1 On composition: What can or even must be left out? What has to remain in? 2 On seeing and hearing the resulting image: With as much detail as technically possible, gracefully (as opposed to harshly) rendered. 3 Getting slowly back on topic: Yes, a viewing and listening medium that is able to transmit as much detail as technically possible, but gracefully rendered. 2. The detail is always the supporting actor or the enabler, not the star of the show. So these color accurate, high resolution, screens with long tonal ranges do exist, in the mastering rooms and reference theaters of the motion picture industry. In point of fact, many digital displays (such as cinema DLP/LCoS projectors or OLEDs) do not have to make the same compromise of resolution vs tonal range inherent in inkjet printing. Nor are they limited by the low contrast (1000:1) 8-10 bit color-spaces typical of consumer monitors. Although photo-setters can deliver 1200-2400 dpi for high-contrast, black and white text, when called on to reproduce continuous tones you give up absolute resolution to screen mid-tones using what are essentially 4 colors in three formulations of ink density. On a separate note, it surprises me you never entered the world of computer rendering… These days, commercial objects like skyscrapers and watches exist in the digital domain well before they ever see physical forms. Rendering algorithms, shaders, etc.. these days can create aesthetics ranging from hyper-realistic detail to reproducing the flaws and motions of a vintage camera. Shaders exist which can duplicate much of the variation and subtlety of nature. They do exist, but aren’t accessible for the vast majority of audience. I can’t even afford one. Screens will never replace print. Didn’t Kodak try that with digital photo frames? Ever if they were 4 k screens in these frames the idea is just cheap and hideous in my view. Interesting to note in the days of retina screens with cameras attached to them, instax film and camera sales outsell their x series digital cameras by millions of units.The Instax line is probably the most successful photographic product going in 2015. True :P. Still Fuji are moving serious numbers and I can understand why. Having shot the wide 300 seriously for a couple of weeks for an art commission, I’m finding the process addictive and rewarding. The simplicity of the process is kinda actually nice, and I find you can get very pleasing results if shot carefully. I haven’t really thought this through completely. But I think something is missing here. You allude to it when you say you are thinking about a backlit presentation. Density of information is not really something I react to when I view a scene in real life. Colour, light intensity or contrast affect me much more. What does a sunset or aurora shot benefit from the ultraprint? There is something to be said for emissive displays. You’re missing plenty: more print resolution isn’t about resolving fine detail structures – it’s also about tonal continuity, because you can have fewer and fewer steps in color or luminance gradation to the point that they are imperceptible. And it’s precisely that which makes skies, sunsets, auroras etc. ‘work’. Miles Davis, as he progressed a musician and artist, left out more and more notes playing. Sometimes less is more, and real beauty can be found in the infinite detail of what was left when all that was not important was left out. I assume it was deliberate? With Miles Davis you could never be sure I think. But yes, that sounds like an attractive assumption. Anyway, images and music are sometimes more interesting for what was left out, letting you concentrate on what was left in, and wonder why that is still there. I remember a jazz musician (can’t remember who sadly) saying music was the art of subtraction to leaving only what is required in making the song, so similar to photography in composition! What are you missing while you’re trying to squeeze out every last nuance to close in on reality? For the way I see/shoot, nothing. I think it’s safe to say that despite the rapid advances in digital technology, we have to remember that as organic human beings, we’re really rather intrinsically “analogue” in nature ourselves; hence our continued appreciation for more traditional forms of content consumption such as printing [and why books and magazines are unlikely to ever fully go away]. I’d argue that thus far digital has not been able to satisfy our craving for sensory stimulation—touching, “feeling”, etc. Now, when the A.I. replicants arrive, with no intrinsic organic/analogue frame of reference, it’s unlikely they’ll have any interest in such touchy-feely stuff. They’ll be too busy trying to cleanse the earth of the non-digital “organic scourge”, after all. What would be interesting is again the question of perception: I would assume the AI replicants would be programmed to see the world initially in a similar way to the programmers, i.e. us; that would mean they are still fallible because they would interpret data in a similar way to ourselves. On the other hand, babies are more interesting: they have zero preconceptions or expectations and virtually everything is new. Observing how my daughter responds to visual stimuli is very enlightening to what I’m missing as a visual artist. She really sees only shape and form without the attached expectations or associations of idea/subject/etc. And as a plus point, a box excites her just as much as the contents – perhaps more so; there are no expectations yet that the contents have any more intrinsic value or interest than the packaging they came in. Yes, quite likely that early A.I. might well suffer from the limitations and proclivities of their creators … until they started improving upon themselves, by themselves, that is. I think it’s a profound observation to discover that your daughter can teach you something about visual stimuli. But speaking of programming, I wonder if adults can really ever “turn back the clock” to see, experience (or re-experience) the wonder of newness with a measure of naive detachment. On the other hand, one might argue that experience can be as valuable in photography as “newness” … particularly when photographing people. Some insight into human behavior can help one to be sensitive to, and anticipate, certain emotions, for example. Yes, the more you shoot, the more experienced you become in rapidly assessing what to do and in what circumstance, but keeping it fresh does probably get harder … or at least harder from the standpoint of your [the shooter’s] POV. From a client perspective they may love it, even though you may feel as though YOU have seen it a thousand times before. What about experimenting into other genres/disciplines you haven’t shot before to boost some lateral creativity? – Print (digital) has not developed that much. There is little competition Epson then HP and Canon a bit. There is room for improvements on printers as well as on papers. As mentioned above wrong viewing lighting easily ruins any print. – Secondly we have the wet darkroom process. For B&W, it easily surpasses anything any printer/paper can show. 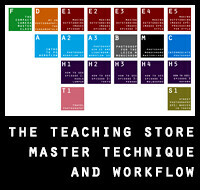 That is of course only true if the darkroom work is master class! I agree, printing with printers loaded for color doesn’t come close to the darkroom, no contest. Printing with all carbon inks on we can get dramatically better than typical inkjet, but that’s it. 1) “Plausibel” is very much OK in photography, I think. In fact, it’s always been in the hearth of it. For example the constant search as to how far we can go in changing colors for expression purposes, but still remain a plausibele image. 2) I have often wondered about some of my photos, that they wouldn’t come to their right on a smaller monitor, because often I find that, with the higher resolution towards we are evolving, I think we can make the main subject in the picture smaller than we used to. For instance, the main subject being a person that reflects how the (impressive) surroundings are affectng him. Someone only looking on smaller scale (like you once wrote that you look at images send to your flickr group – for understandable reasons) would mis the whole point of the picture, I fear, not being able to notice that in fact it’s about the person in the first place. 3) “The more deliberate the intent and presentation, the higher the information density must be.” I think that largely depends on the subject. Sometimes the density can be compensated by for instance the impotance of the subject/event. One doesn’t throw away a picture that makes a significant testimony, because it has not optimal density. 1) Agreed. But what if we can do better – call it ‘realistic’ which is where we’re headed? Why compromise? Excellent and much needed Article! I agree with all your analysis. In order to achieve the high dynamic range, you need bright light. And you need it in an angle to not shine into the viewers eyes (blind them) as well as to not show as reflection on the print. The solution is what is called museum lighting: Spot lights with barn doors, mounted high above the image with an angle of about 30° to the image. The problem I encountered was that very few users of my prints were willing to make such an effort. As a consequence the viewing experience suffered that much, that there was no interest in getting more prints after the initial one. You may not see this as a problem, because with your experience you will always give ideal viewing conditions to your Ultra Prints. But an average buyer most likely will not know about this and as such most of the viewing experience of an Ultra Print will be lost on him. Especially, if he buys the print online and never has seen an Ultra Print under ideal viewing conditions. Please also note that the human eye’s resolution is dependent on light intensity. If you want to enjoy the high resolution of your Ultra Print you will need more light than average room lighting provides. A Tutorial on how to display an Ultra Print with some photos on how it looks in the real word would help. Including some links on where to buy the lights. Great examples of such Tutorials can be found in the Ansel Adams books. For above reasons I eventually stopped making prints, as I found too few customers are willing to go through the effort of presenting a high quality print properly. And without that it lost the wow factor. And without wow factor interest was poor. I am curious. How would you implement: “settle for a lower actual D-max but higher perceptual D-max”? Increased local contrast, darker viewing conditions. I see. I would be worried that the wow effect of a high quality print is reduced proportionally with the reduction of brightness and that the experience is getting too close to that of a quality magazine print, e.g. of Lenswork. It occurred to me that my post could be misunderstood in a negative way. I love your photography, I see your struggle (and success) for excellence. I am wondering if reducing light in viewing conditions is the best way to go for your ultra prints. You always want it all, and I think it is possible. I guess you are shipping your ultra prints in tubes to your customer. This means your shipping cost is volume weight and not actual weight. So adding a lamp would not increase shipping cost. I do not know about purchasing cost in Malaysia, but I hope they are similar to China (where I live). I could buy a 3 spotlight system for about $12 US. It would illuminate larger than A2 almost evenly. It would fit into the core of the tube. They are easy to mount and would give your customers perfect light. And to solve reflection problems you could print on Satin / Perl paper. Almost same D-max, but much less reflections. I hope this makes sense and is of any use to you. No, there’s still a substantial difference. It is an interesting technical discussion, but does it really matter that you can squeeze every detail out of an image and on a glossy Apple screen? Personally I prefer the much nicer rendering from a lower resolution non-glossy Eizo screen, but of course that is my personal opinion. Anyway, thanks for an interesting article. It does matter, and it isn’t a strictly technical discussion because it affects the perception of an image – and that becomes a creative one. You just said you ‘prefer’ one rendering over another: this is already something that has to be considered in processing/presentation. We don’t have the ability to choose what screens our audience views images on, so they have to work on both. I personally prefer something in the middle, but it doesn’t exist – the matte screens smooth out the pixel edges (similar to dithering in print) but trade off against perceptual acuity. The glossy Apple screen has higher acuity and higher resolution. If you work on high quality photos, this is an important benefit that you want to have. That everything reflects on this screen is a very annoying side effect. The only cure is smart placement of the screen in the room considering all bright objects. And sometimes you even need to move other bright things in the room. Also mounting barn doors to the side of the display will help. Once done, you will have removed all visible reflections and you are left with a stunning viewing experience. If however, you are not willing to make such an effort, the reflections would be so annoying, that it kills the viewing experience. In such case a matte display will provide a relatively better experience for you. Not as high peak performance, but no annoying reflections. I think that processing has to change dramatically depending on the angle subtended by the display and on the overall resolution. In my experience, the former affects global processing: if you have the image displayed larger you can (not necessarily should) reduce global contrast and emphasize texture more without making the image appear flat compared to viewing on a phone where the overall contrast strongly affects the impact. The latter affects how much sharpening is needed. I use a 24 inch 4k screen and with my lenses I basically don’t sharpen anymore. When there is real detail to see, the eye doesn’t need boosted microcontrast to imply it. When showing it in smaller sizes on other devices, I let Flickr do the sharpening for me and I find that it’s acceptable. Unfortunately there’s no way to give Flickr two versions of a photo for when it’s viewed differently. Size definitely affects what ‘works’ and what doesn’t; however, what do you do if the same image is going to be seen on a lower resolution large screen and a phone? We might be able to render different versions for different output resolutions, but not different monitor sizes. I suppose that is the flickr problem you describe in a nutshell. Sharpening still makes a difference if done correctly, even if you’re outputting as close to perfect pixels as possible (assuming shot discipline, optimal lenses, etc.) – both on high density screens and in print. I am glad prints are still important! The other night at PCNW Scott B Davis gave a presentation. He did not use any electronic display. He only used prints. Part of the romance of photography has always been its ability to show more than can not be seen by the naked eye, for example Mubridge’s pictures of running horses. Regarding very high resolution images on-screen: the possibility of zooming into an image to open up details. This can be done with individual pictures or stitched or layered ones. Historically minded readers might find “River of Shadows” – a biography of Muybridge and Leland Stanford – by Rebecca Solnit interesting. Includes a discussion of the invention of fast shutters. Also, the Union Pacific railroad. 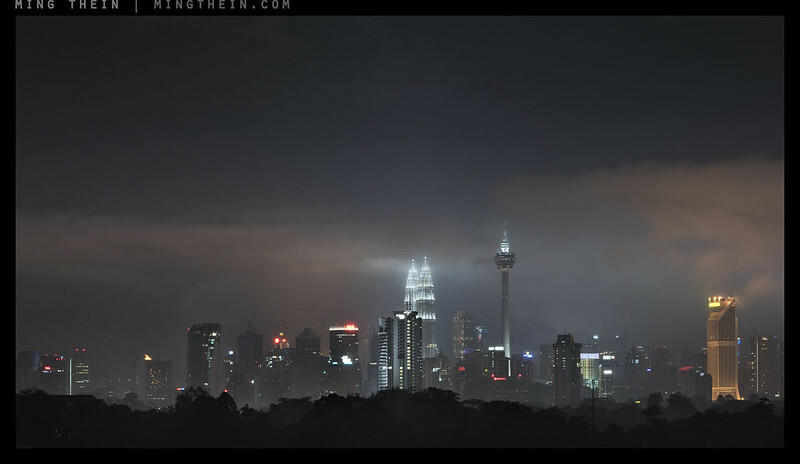 Are you familiar with Jeffrey Martin’s multi-gigapixel pictures of cities? Kind of a stunt, but a very interesting extension of digital capture and post-processing. No possibility of printing, of course. Interestingly, this was anticipated by Muybridge made a 360 degree panorama of San Francisco from a tower in Stanford’s Nob Hill mansion. The prints were put into a circular room and admission was charged. Ming’s issues with presenting output to clients is certainly one side of this issue, but the other side, By far, by perhaps a factor of 1 thousand to one, is the display of properly calibrated and sized images on — mainly — computer screens with zero calibration, low quality, and no control of ambient view light. W/o even touching on the vulgarities of compression algorithms used by social media providers, my worries have always been centered around “what will a client (non-commercial) use to evaluate on-line distributed proofs?”. Here I am, using a calibrated monitor capable of displaying 97% of Adobe RGB 1998, knowing that clients will see something different on their low-cost displays…. How much time should I devote to re-calibrate proofs by converting to RGBs, and adjusting white/black points, and perhaps Saturation? As Ming points out, the high-end processing products are becoming better and better — But this creates an even larger dichotomy with the “mass viewers with consumer grade product”. For me, the only time I feel I have control of this issue is when I print the deliverables for a client. The upside is that at least the low end consumer bar is moving upwards, too – thanks to smartphones and tablets with better gamut than older displays. It’s one of the reasons (for now) I still do proofing on a mid-level monitor simply because there’s no point in me working with gamut my audience cannot see. As for printing for client deliverables – all well and good if the budget allows, but commercial reality means that spending $300-400 on prints and shipping for a $2000-3000 (or less) job does not make any sense whatsoever. both at home and occasionally in theatres on large screens. And we wanted and enjoyed both for their different kind of impact. So I’ll wait for a high res. screen that rotates 90° easily enough, or a square one. And a wide printer with much lower ink cost. I wonder what happens to our viewing experience once they get significantly closer to “reality”. Perhaps the imperfection of two-dimensional limitation is enough? And as Ming describes his Ultraprints, I gather they (at least sometimes) are perceived somewhere between reality and images? Agreed: but my point has always been, why choose if you can have both? For capture sure, but for expression not so sure. As an impressionist fan I tend to like that ‘look’. Capturing a gesture or moment IQ is counterproductive somehow for me. E.g trivial example, I like to capture the kids in motion using rear curtain flash rather than video them. One of my favourites of them is in TriX shot on a compact. IQ is largely moot. Does an image like Afghan Girl benefit from ultra IQ, and Napalm Girl from the blur and grit of fast B+W? Would they work the opposite way round. I don’t think we can answer that question because it isn’t even an option. There are some images that require both timing/idea and IQ to work because they enable us to deliver a different impression to the audience. There are others where it makes no difference (cinematic images, for instance, benefit little from extra resolution anyway because there are large OOF areas and human faces/portraits don’t need that much resolution). I suppose it might be an interesting experiment to go the other way: take a HQ image, print lower quality, then compare to the HQ version. I’m pretty certain the HQ will win out every time. On many contents IQ is entirely moot. Exactly as you said. But on other content IQ makes or breaks an image. Say a picture of a forest. In an Ultra Print you can get lost in studying the details of all the leaves. In a low IQ image these details are lost and as such could be the interest in the photo. Hi Ming – Re: square monitor, albeit a little pricey, here you go: Eizo EV2730Q 26.5″ LCD LED 1920 x 1920 Monitor. I would also like to have a small high res., high DR, square format camera with a 35mm eq. 28-70mm zoom and viewfinder now that I have been introduced to Instagram (#scott_woodhall) since picking up an iPhone. I really dig the portability, convenience and quality of the iPhone camera but see that some of the shadows and lower values get blocked up, almost posterized and there are halos around dark values which almost begin to appear solarized. So something a bit more flexible with high quality files, a viewfinder, the iPhone convenience and fun are on my list too. Yes, I think I see your point. I was a bit unclear, I was considering the thinner growing line between seing reality and seing images from the viewer’s point of view. I was thinking about when an image might need to signal “image”, perhaps by how it is printed (e.g. b/w) or presented (your comment on comparing resolution probably rules out intensionally lower resolution). Isn’t there also suspending disbelief and showing (or not hiding) how you do it? But perhaps an image’s inherent two-dimensionality might be enough as a signal? Not every subject benefits from Ultraprinting or higher resolution – I’ll be the first to admit that. But you certainly won’t get a worse image – it’s just that not all will be better. A monitor arm with a 4k monitor will enable easy rotation in any direction, much more easily than standard monitor stands, but apparently not all screens are balanced with the center of mass at the VESA mount and you might have difficulties. My Dell is balanced properly, though. This works well with my photo viewer of choice, Mcomix, which can auto-rotate vertical images in your preferred direction. When I hit a portrait image, I quickly spin the monitor, and when I get to a landscape image, I flip it back to horizontal. Agreed. It was you who delivered the breakthrough inspiration for me. You published a series of Essays you called something like Cinematographic Photo style or so. (This would be a great place to to thank you for that 🙂 ). You can not do much about the subject. If it is portrait, so it is. But I rather like the rest of the screen is filled with context than with black border. If the surrounding is too distracting, I blur it with a fast lens. If I were to continue to shoot portrait and then view it on my display, I would have huge black borders. That alone is no issue. But I always shoot for a portfolio. When watching a slide show of a portfolio changing from landscape to portrait is like a punch in the face. It rips me out of the zone. The first time I watched a slideshow exclusively comprised of 16:9 images I was very surprised on how much more engaging the experience was for me. Sometimes it means not to take the shot, if in landscape it really does not work. This frees time to see and take other opportunities that do work in landscape. My objective is to optimize viewers experience for a portfolio viewed on screen. This is not applicable to every photography work. Many commercial printing inks have less dot gain than inkjet inks. There are a few 12 colour presses in operation, but for individual (or short run) prints, the cost to benefit is a non-starter. Even with stochiasitc or frequency modulation screening, these mimic continuous tones, just as all inkjet systems. C-prints are continuous tone, but I have a feeling you do not like those. I’ve been impressed by Edward Burtynsky C-prints, and he does those through Toronto Image Works, which he founded. His images do draw me in, and I do have good eyesight, but for me it’s the colour and tones that transcend the two dimensions of Burtynsky’s images, even in book form. I’ve personally seen more resolution, and I have some ultra high resolution sample prints from companies who make printing machines and paper. Wonderful things, and that brings up another issue, which is the continual battle to get clients to go for the super high quality commercial printing. When budgets are tighter, the paper and printing quality decline. This is the constant battle, and the puzzle to solve for me. If it was just fine art prints, then the envelope can be pushed, even until the profits disappear. So as it stands, I have to justify equipment based upon profit margins, meaning commercial work. You’ve written enough that I understand your desires push your choices. I hope in this journey you’re solving this puzzle, and still generating profits. All the best to you in your journey. I’ve had very, very few clients who want prints as an output – and then the usually hire me specifically because they’ve seen my previous Ultraprints or large format canvas stuff. Most of the time it’s digital delivery and halftone butchery, sadly. Thanks for shedding light into the future Ming. Often I have thought if it was possible to get the same thrill looking at a monitor screen versus a print. I have Ultraprints, but no hi-res monitor, so a direct comparison doesn’t make much sense. Here’s my take: Yes once in not a too far future it might be that nowadays high-res photographers might as well have their images displayed on hi-res monitors in Galleries around the world. Lot’s of rationalisation and practical solutions. Customers for hi-res images might also as well just buy the files and display them at home. But hey, how are we now going to protect copyrights and prevent illegal distribution? The technology isn’t there to prevent it as far as I see. That’s a strong argument for maintaining prints. Let’s go a step further and have original Magrit’s on 8 K monitors around museums around the world simultaneously. Pfew ..! But I am old fashioned .. heh! 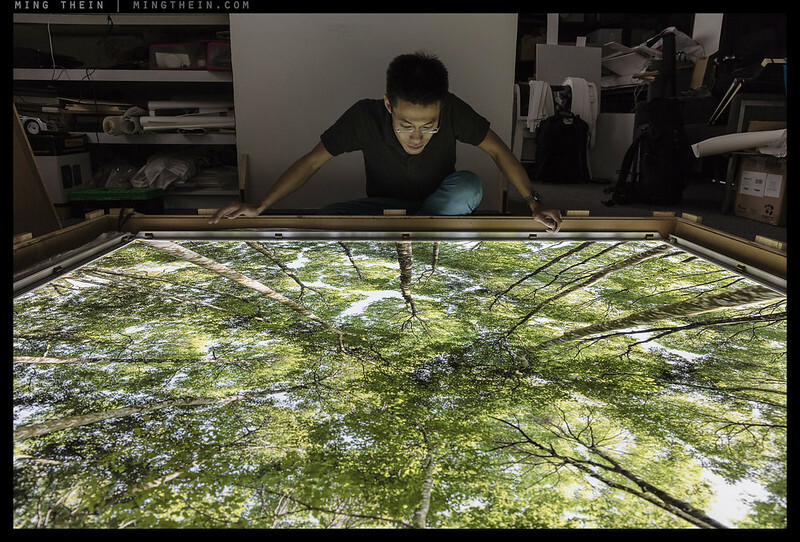 For galleries and museums and public spaces, light box rendering could be quite nice. The trend toward what Michael Fried calls “tableaux photography” (really big prints) in the fine art world seems designed to produce photographs that can’t be easily reproduced and that certainly can’t be rendered on a home device.